Become a self-made success story and take the next step in your hairdressing career. At Fifth Avenue Lifestyle, we connect talented hair professionals like you with beautiful, furnished studios. From $350 per week, you’ll have the freedom to make lasting business decisions, maximise existing client lists and evolve your position in the market. Pack your scissors and dyes, your future has arrived. Your career began sweeping floors, mixing dye and fetching coffee, water and juices. You’ve come a long way, carving out a modest reputation with every colour, cut and blow-dry. You’re ready to be your own boss and establish a small, yet successful business somewhere elegant, affordable and close to your current clients… somewhere like Fifth Avenue Lifestyle. Our salon studios are affordable, spacious and modern, delivering an independent space for you to grow your imprint professionally and socially. Individually metered utilities – only pay for what you use. 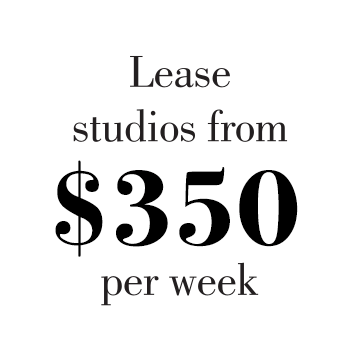 Fifth Avenue Lifestyle offers boutique studios across Brisbane for lease to the Hair, Beauty, and Wellness industries from as little as $350 per week. The studios come furnished, ready for an independent operator with existing clientele to commence trading immediately. Existing centres are open in Albion, Hamilton Harbour, Nundah Village, New Farm and East Brisbane, with more locations opening this year. Invest in a Fifth Avenue Lifestyle today!